If you’re anything like me, you usually serve your hummus pretty much straight from the fridge. Take a cue from those who know, though. Hummus is more flavorful when served at least at room temperature, if not warm or even hot. 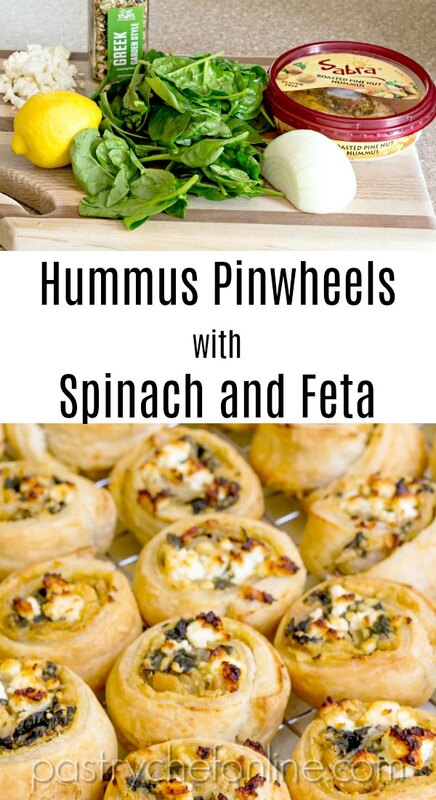 Give these hummus pinwheels a try, and you’ll see what I mean. 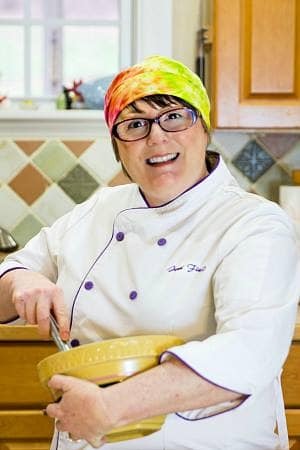 As a Sabra Tastemaker, I received both product and monetary compensation for developing this recipe and writing this post. 2 Yes, You Can Serve Hummus Warm or Hot! 3 When Is National Hummus Day? 6 Can I Make Vegan Hummus Pinwheels? I am honored to be one of the Sabra Tastemakers. While I love my homemade version of hummus, it is nice to know that Sabra makes a wide variety of flavors, from the more traditional Classic, Roasted Garlic and Roasted Red Pepper to the more adventurous Chipotle and Supremely Spicy versions–thirteen flavors in all! Long before I was asked to be a Sabra Tastemaker, we almost always had a container of Sabra hummus in the house. Now we have multiple containers! And now I’m making hummus pinwheels as well as just eating hummus straight out of the containers! The Beloved and I, along with friends, neighbors and coworkers, have sampled and enjoyed all the flavors. We did have a couple of issues with our shipment. we found some ground olive pit in the Olive Tapenade flavor (which is incidentally The Beloved’s favorite flavor). The good news is that Sabra has an excellent customer service team, and replacements are literally just a phone call away. Quality control is hard enough in my own kitchen, let alone in a high-volume manufacturing facility, so it’s reassuring to know Sabra stands behind their products long after they leave their factories. If you ever have a concern about a Sabra product, call Sabra’s team at 1-888-957-2272, and they will take excellent care of you. Yes, You Can Serve Hummus Warm or Hot! This section contains affiliate links. For more information, see my disclosure policy. I have long been a fan of hummus, and I make a mean homemade version. I rarely deviate from my favorite combination of chickpeas, tahini, lemon juice, garlic, salt and pepper, cumin, curry powder and olive oil. 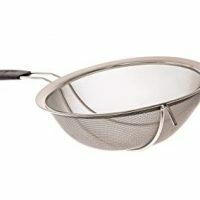 I enjoy more than I should fresh from my blender and then store the rest in the fridge for easy snacking: spreading on pita or tortillas, dipping vegetables, etc. That was the only way I knew to eat hummus, and I thought I was doing well. Then The Beloved and I went and had dinner at a Turkish restaurant in Chapel Hill, NC. They served a baked hummus appetizer. Wait, what? Hummus served warm? Hot, even? I had to order it. It arrived at the table in small, shallow oval casserole topped with olive oil, roasted pine nuts and sumac. Beautiful to look at, and even more delicious to eat. The edges were firm and almost cake-like while the interior was still creamy and spreadable. I was an immediate fan. Use your favorite flavor of Sabra hummus to make these easy hot hummus appetizers. You may never eat hummus straight out of the fridge again! When Is National Hummus Day? National Hummus Day is May 13, you guys. And while I encourage you to enjoy All The Hummus All the Time, you should make a special effort to eat some delicious hummus on its special day! When it came time to develop a recipe to help celebrate Sabra celebrate National Hummus Day, I wanted to present a hot dish as an alternative to all the chilled preparations I was already familiar with and enjoy. 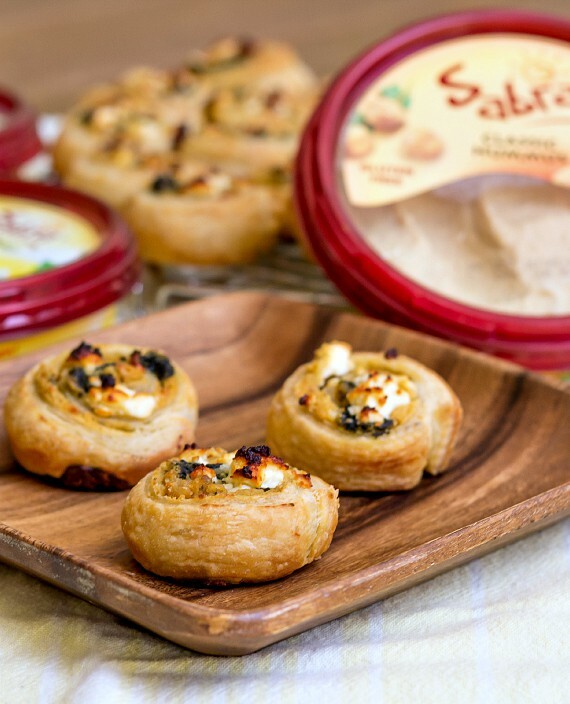 I started with my new favorite Sabra flavor, Roasted Pine Nut Hummus, added in a few more bold Mediterranean flavors and rolled them all up in puff pastry to make Hummus Pinwheels. They’re easy to make and are a perfect 3-bite appetizer or party food. If you’re more of a visual learner, I’ve made a Helpful Video for you to watch. Can I Make Vegan Hummus Pinwheels? Absolutely! Make sure your puff pastry is vegan (Pepperidge Farms brand is) and leave out the feta cheese or sub in your favorite vegan cheese. Or even stir some nutritional yeast into your hummus to give it a cheesy edge. 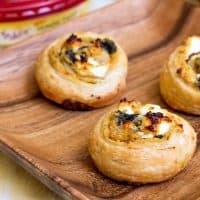 These pinwheel appetizers are really good, you guys, so don’t think you can’t make a version that fits your vegan way of eating! These delicious pinwheels are bursting with bold Mediterranean flavor. Celebrate National Hummus Day in style! Use your favorite flavor of Sabra hummus and customize your fillings however you like. Go light on the fillings so your pinwheels don't fall apart. For less "rustic" pinwheels, bake them in greased muffin tins. 2 sheets puff pastry, , approximately 9"x9"
Heat a large saute pan over medium heat until hot, about five minutes. Add the olive oil. After the oil is hot, add the onion, Greek seasoning and a healthy pinch of kosher salt. Reduce the heat to medium low and sweat the onions until soft and translucent, about 5-7 minutes. Increase the heat to medium-high, add the spinach and water along with another heavy pinch of kosher salt. Stir to combine the spinach with the onions, then cover the pan and let spinach cook down for 2 1/2 minutes until completely wilted but still a lovely green. Remove lid and stir in the lemon zest. Dump the spinach filling into a strainer and let cool and drain until room temperature. Press down on the spinach to squeeze out additional liquid and then coarsely chop the filling. Meanwhile, preheat the oven to 400F and place a rack in the center. On a floured surface, roll one piece of the cold puff pastry to a 12"x9" rectangle. Leave the other sheet of pastry in the fridge until you're ready for it. Stir the hummus well so all the toppings and pine nuts are evenly incorporated. Using an offset spatula, spread on half the hummus, leaving about 1" clear on one long side of your pastry. Evenly top with half the spinach filling and 1 oz of the crumbled cheese. Roll up fairly tightly from one long end towards the clear end. Brush off excess flour from the pastry as you roll. Place the filled roll on a parchment- or Silpat-lined cookie sheet, cover with plastic wrap and place in the freezer while you repeat the process with the second sheet of puff pastry. Once both sheets are rolled you will still have half the cheese leftover. Hold onto that because you'll be using it in a bit. Remove the first roll from the freezer and put the second one in to firm up a bit. Slice the roll into 12 equal slices. I cut mine in half, then in half again. Then I cut each piece into thirds. 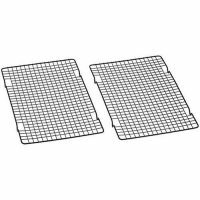 No need to trim the ends, you can place those raw-edge down. Take each pinwheel and tuck the "loose" end of dough underneath. This will keep your pinwheels looking fairly neat yet still a bit rustic. If you want them to be perfect, place each pinwheel in a greased muffin tin. 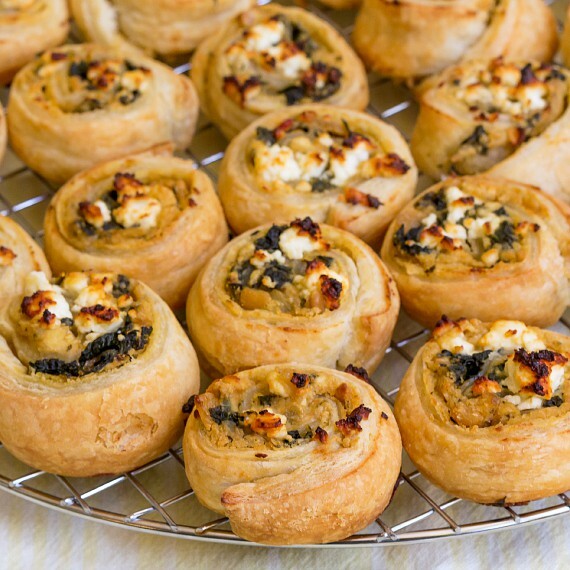 Top each pinwheel with a few crumbles of feta and bake for 15 minutes. Rotate the pan 180 degrees and bake an additional 10 minutes until the pinwheels are a light golden brown and the cheese on top has browned. Remove to a rack to cool down a bit and serve warm or at room temperature. 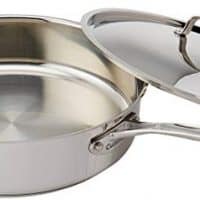 These are best served the same day you make them, but you can store leftovers in the fridge and recrisp them in the oven or toaster oven at 350F for a couple of minutes before serving. 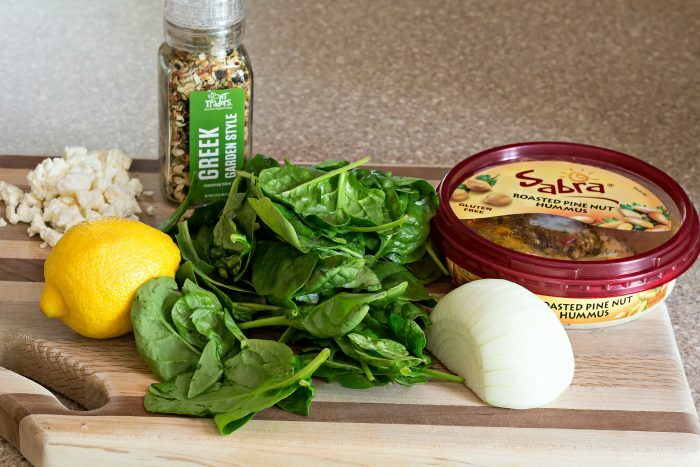 To simplify the recipe a bit, you can thaw and squeeze the excess liquid from a cup of frozen spinach and mix it with the salt, Greek seasoning and lemon zest. Substitute 1/4 teaspoon onion powder for the onions. Enjoy the hummus pinwheels, and remember to celebrate National Hummus Day on May 13! Thank you so much for spending some time with me today. Have a lovely day. I am a sucker for good hummus. Sabra is by far our favorite! Who knew there was a National Hummus Day to celebrate my favorite snack? Not that we needed an excuse, right?! I love making (and eating) pinwheels! These babies are crazy good! YUM! All the pinwheels! And I really do enjoy hummus warm in these little guys. So tasty!